It may be something few people consider today, or give a passing thought, but there was a time when the quality of the beer you produced could fall at the final hurdle, and therefore the most critical stage of all - its bottling. What is not generally appreciated is that the bottling of many major brands was outsourced be it to a wholesalers, wine merchants, soft drink manufacturers, grocers, and not unnaturally small pubs themselves. The age of the returnable bottle, when a redemption fee was charged and reimbursed when the bottle was returned to its source of purchase was a common procedure throughout Britain. It is of course still used by many other countries around the world today. The major down side to this is hygiene, unless the bottles are scrupulously clean and sterile then refilling beer into such bottles can lead to a rapid deterioration in quality, and the growth of acetobactor. 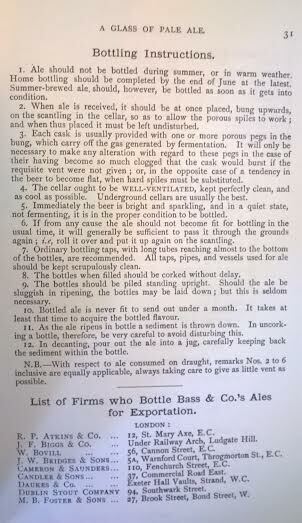 Read Brothers Dog's Head bottling (below) one of several companies who became renowned for their bottling prowess. Courtesy of Yooniq Images. 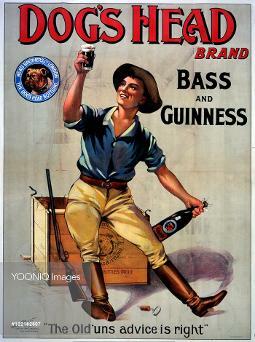 What's more being 'bottled conditioned' and a live product at this point brands such as Guinness were taking further risks, with wild yeast infection a real and present danger. At the opposite end of the scale this situation did lead to companies who became renowned for their bottling prowess, many bottling for export markets in nearly every corner of the globe. 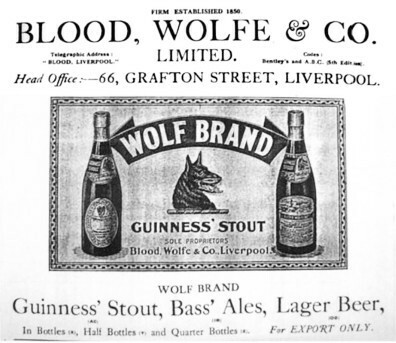 So renowned were these producers (such as Blood Wolfe, Foster Probyn, Reeds and Robert Porter to name a few) that their brand names took precedent over the product within the bottle. 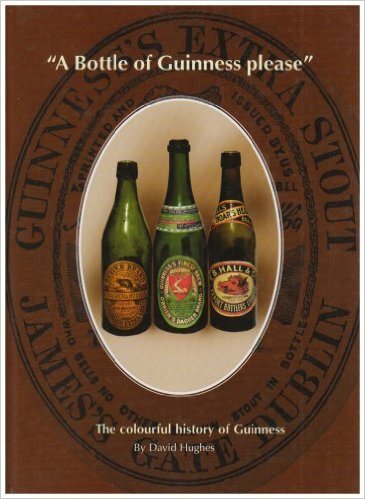 So for example 'Bloods Stout' contained Guinness Export Stout but the consumer looked to the 'Blood' label as recognition of quality. This of course broke the particular beer on that given market and over time it would be the producers name that would take president over the bottler. A similar situation occurred in the world of wine when bottles of Port were sold by the retailers name and not the producer. In the 1930's Sandemans Port were the first manufacturer to sell their port purely by there brand name, which caused an uproar at the time and snobbishly became stigmatised with the derisory term - 'grocers port'. The bottling process for Bass beers as laid out in there booklet 'A Glass of Pale Ale' from 1880 explains the detailed procedure needed to produce the perfect bottled ale and a selection of the most famous of these beer bottlers and exporters is covered in detail in David Hughes excellent book 'A Bottle of Guinness Please' along with many stunning label illustrations. 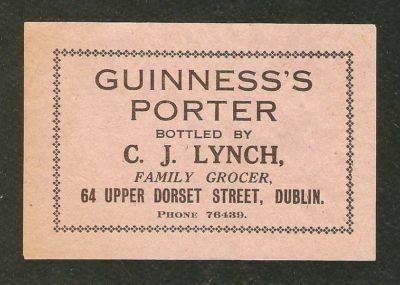 name before the brand... in Ireland - in this instance a family grocer. required in producing the perfect bottled ale. who carved out a reputation for their bottling skills.